The story behind the BH6-CAT Facebook page and how it is helping the Southbourne community fight back. Social Media can be a funny old thing, but as we know, it can be a powerful thing as well. I wanted to highlight what we have done in our little community of Southbourne in Dorset, and this model can be repeated across the country at no expense, besides the admin time. Southbourne, or SoBo as it is affectionately known locally, has a great community feel to the high street, the shops, the residents and local events. Two recent things have come together in prompting the formation of the BH6-CAT group page on Facebook. The SoBo page has over 5000 members now, most of which live in Southbourne but many more who visit and have connections in the area, that would love to keep in touch with what’s happening. People have felt that crime has been on the increase. Looking at the statistics produced by the Police, this is sadly true and not just perception any more. Because of the strong community feeling, people want to help to combat this and to be more aware. Normally at the start of every year I get off to a good one, all refreshed, lose my Christmas indulgence weight, restore my fitness and so on. This year it didn't feel the same. I just didn't feel right inside. I decided, sod it, I am taking Monday off and booking myself a day to myself. This was after I received a promotional email from River Cottage that made the decision so much easier. A full one day cookery course it was then! 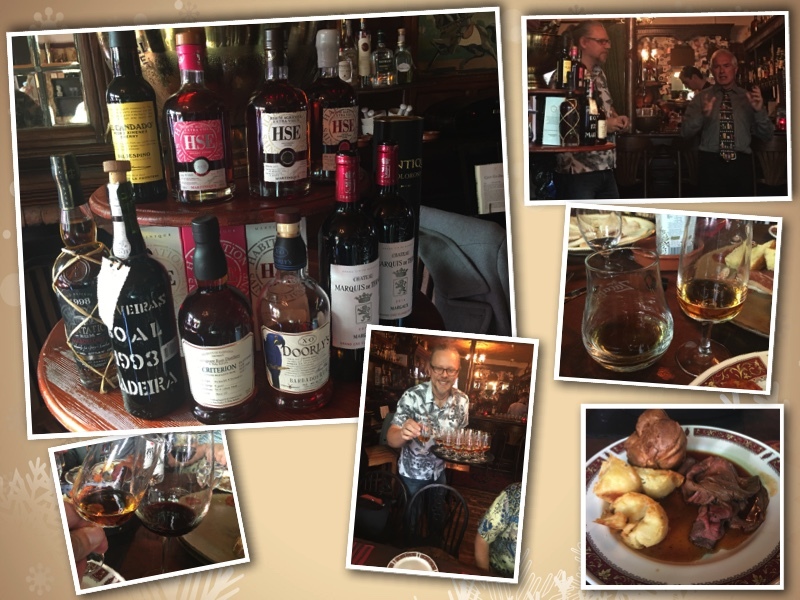 Peter Holland and Martin Hudson, who is a Master of Wine, held a special tasting event over Sunday Lunch in the Library of Liquor (Southbourne) matching rums with wines. The approach was to first taste a wine, fortified or otherwise, and then sample a rum that had been finished in the equivalent cask. In one case this was even matched down to the actual specific wine casks. A very interesting event indeed, based on an idea that probably hasn't been tried in the UK until now or at least not to this depth. Steady as she goes, as there was a lot of hefty booze that afternoon what with six wines and six rums. Whist I call Peter Holland Mr Rum, Martin Hudson is literally a Master of Wine, so we were in very good company. I follow a feisty Instagrammer called Whisky Anorach who posts on her love of whisky, her travels (to Scotchyland) and her dress designs which are inspired by the different distilleries. She also has an interesting and poignant story to tell as a Vietnamese immigrant to the US. Yes, the Internet can be some sort of voyeuristic looking glass into others but sometimes it acts as a mirror reflecting some of the meanderings and feelings of others. Instagram account: Whisky Anorach and Etsy Store. She also has a new website at Linh Do Art so hopefully now some of her writings can be found in the search engines. Downside of Instagram is that Google might index your profile, but all that lovely writing on your posts don't make the cut (today). We had our company Christmas party at one of Matt's events that was held in the Deans Court Café, Wimborne under his new venture called Flaming Peaches. 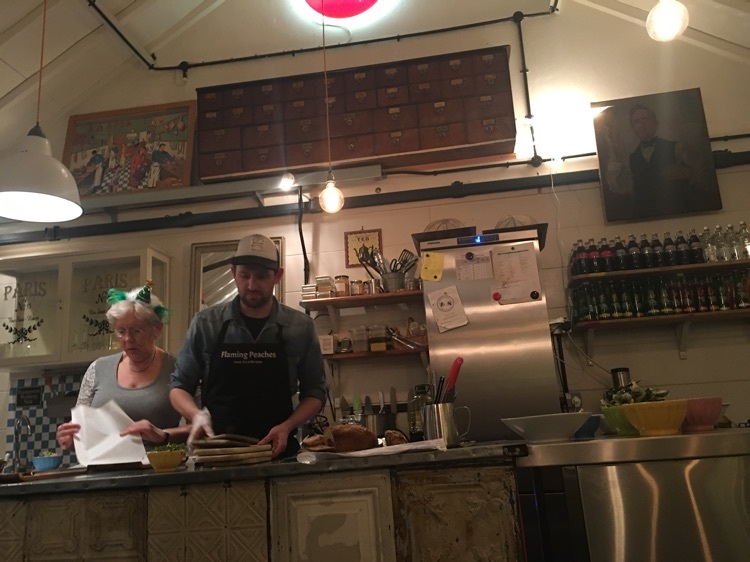 We knew of Matt Davey's food from his time at the Tickled Pig (also in Wimborne) and wanted to join in on this pop-up restaurant Supper Club type thing. Not to lie, the fact that it was also Bring Your Own certainly added to the attraction for a company do.